Equine ER follows a team of elite veterinarians at the "Mayo Clinic" of horse hospitals in the Kentucky Bluegrass. The most cutting-edge veterinary medicine in the world is performed on the clinic's four-footed patients, whether it is an experimental drug on a mare dying of pleural pneumonia or emergency surgery to save the life of a famous racehorse. The book follows the emotional journeys that veterinarians and owners embark on when a beloved horse becomes ill. By turns thrilling, humorous, and medically fascinating, Equine ER is also a window into the unique, pastoral way of life that still exists on Bluegrass horse farms, one largely untouched by time and where doctors still make house calls on their equine patients. 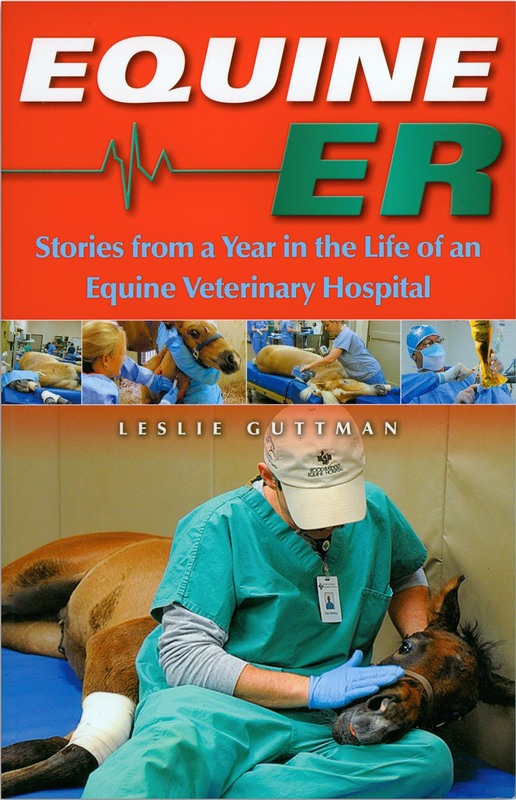 Gina's note: Journalist Leslie Guttman did an incredible job documenting a year inside one of the country's largest hospitals for horses. Equine ER is much more than just an account of shocking injuries and illnesses, repaired/cured at the 11th hour by a team of the best equine veterinarians. Leslie adds a degree of observation and insight to the stories that make this book one of my favorites.